Description: Luscious purple-ruby with a delicate aroma of undergrowth and spices, a hint of wild cherry; an elegant and full-bodied wine with ripe, juicy tannins and length. Vineyard site: Manincor site beside the Lake of Kaltern at an elevation of 250 m.
Soils: Loam with limestone debris, the clay content mixed with gravel increases with depth. Winemaking: Protracted fermentation, after which the new wine continues to mature on the skins; after the malolactic fermentation the wine is matured for 18 months in barriques (approx. 50% of which are new) and refines some months in the bottle. Best enjoyed: With game, well-seasoned roast red meats and matured cheeses. "Falstaff Magazin" has rated the wine "Manincor 'Cassiano' Vigneti delle Dolomiti Rosso IGT,Trentino-Alto Adige, Italy" from the vintage 2013 on 06.07.2016 with 93 of 100 points. "Falstaff Magazin" has rated the wine "Manincor 'Cassiano' Vigneti delle Dolomiti Rosso IGT,Trentino-Alto Adige, Italy" from the vintage 2012 on 23.06.2015 with 93 of 100 points. "Falstaff Magazin" has rated the wine "Manincor 'Cassiano' Vigneti delle Dolomiti Rosso IGT,Trentino-Alto Adige, Italy" from the vintage 2011 on 18.07.2014 with 92 of 100 points. "Falstaff Magazin" has rated the wine "Manincor 'Cassiano' Vigneti delle Dolomiti Rosso IGT,Trentino-Alto Adige, Italy" from the vintage 2010 on 25.06.2013 with 91 of 100 points. "Falstaff Magazin" has rated the wine "Manincor 'Cassiano' Vigneti delle Dolomiti Rosso IGT,Trentino-Alto Adige, Italy" from the vintage 2009 on 11.07.2012 with 90 of 100 points. 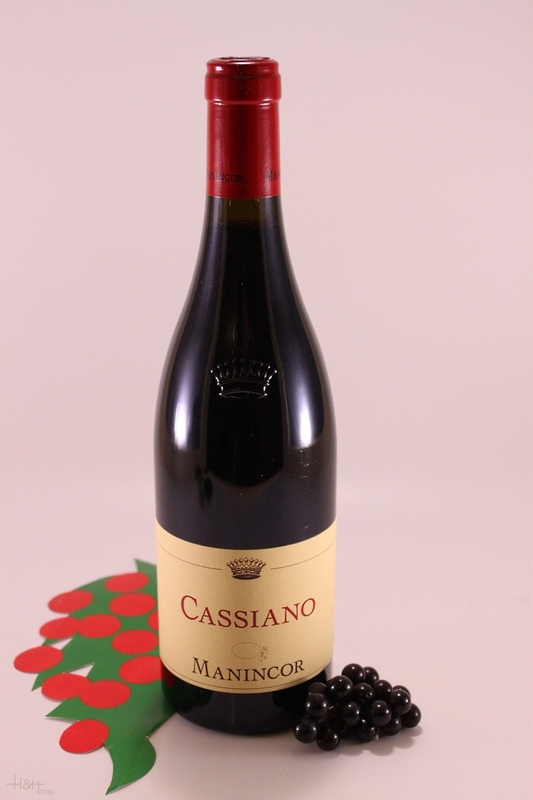 "Falstaff Magazin" has rated the wine "Manincor 'Cassiano' Vigneti delle Dolomiti Rosso IGT,Trentino-Alto Adige, Italy" from the vintage 2008 on 13.07.2011 with 90 of 100 points. "Falstaff Magazin" has rated the wine "Manincor 'Cassiano' Vigneti delle Dolomiti Rosso IGT,Trentino-Alto Adige, Italy" from the vintage 2007 on 08.07.2010 with 91 of 100 points. "Wine Spectator" has rated the wine "Manincor 'Cassiano' Vigneti delle Dolomiti Rosso IGT,Trentino-Alto Adige, Italy" from the vintage 2003 on 30.06.2007 with 88 of 100 points. Color: deep ruby to garnet red with a delicate shimmer of violet. Smell: The aroma reveals earthy, minerally notes masterfully underpinned with fruit components, with morello cherry and plum jam dominating. Taste: These peaty, spicy and yet velvety fruit notes also intrigue the palate, where this Lagrein Riserva presents itself with multilayered opulence and great complexity.